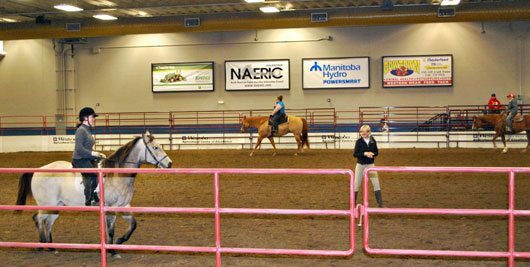 H3 held at the Keystone Center in Brandon, Manitoba on April 15th – 17th was a weekend filled with lessons, lectures and a trainer’s challenge. 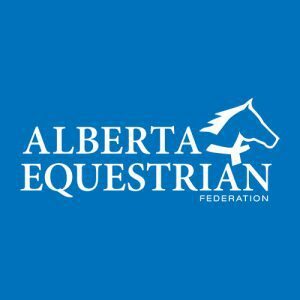 Held in conjunction with CHA’s region 2 conference, demoing lessons in the show ring, ranging from improving riding positions to jumping instructed with lessons taught by Manitoba’s CHA certified instructors Tara Reimer and Megan Rai-Ferguson. 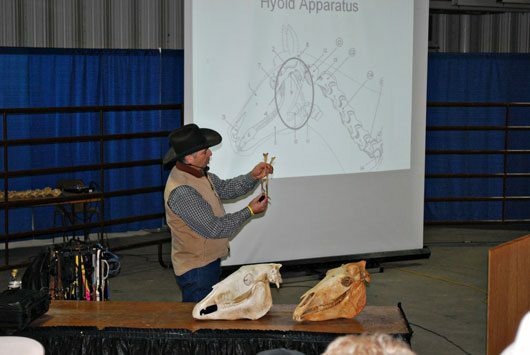 A couple of the lecture sessions were featured with Alberta’s Dave Elliott on bitting and anatomy pictured below during his final lecture of the weekend. 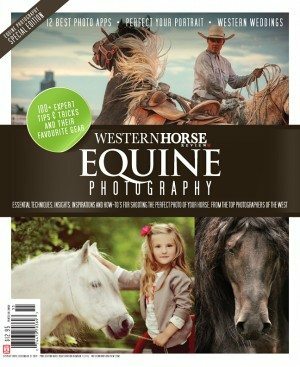 Also featured was veterinarian Dr. Rochelle Lewis clinical associate in the Field Service at the Western College of Veterinary Medicine’s Veterinarian Teaching Hospital in Saskatchewan, covered lameness, strangles and foaling issues. 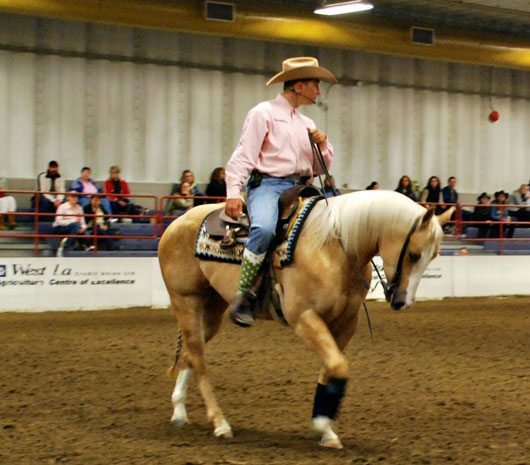 Featured in the show ring clinicians Lee Smith from Arizona who worked on lessons like trailer loading with patients, a gift she passes on from her horsemanship foundation taught to her by her first teacher Ray Hunt. 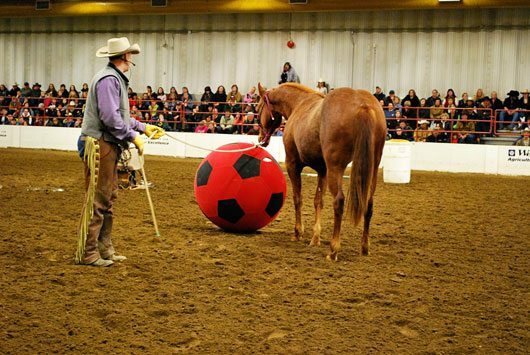 Bruce Logan of Texas demoed how to keep your horse soft and supple when working cows in his cow horse sessions. Bruce Logan on the left, works with participants on getting their horses soft before the cow even enters the arena. Aaron Ralston of Colorado quickly switched gears teaching reining techniques instantaneously, after leaving his training session in the trainers challenge round pen. After three days and only four hours of training, it was time for trainer challenge competitors Ralston, Jon Ensign, hailing from Montana, and last year’s champion Cain Quam, of Saskatchewan, to reveal which trainer had earnestly gained the trust of his new partner. 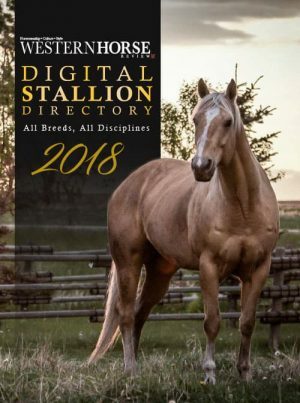 A horse that each of them had handpicked out of 10 horses, provided by D5 Performance Horses and Bridgeman Land and Livestock. Ralston first in the show ring made sure his bright eyed fillies attention was focused on him before the pair set out to complete their course. And, wrapping up his final session, with what turned to be a cowy little filly. Next Ensign, who at this point in the challenge had yet to climb on his horses back, still had some buck in her after he saddled her up. Once settled into her new surroundings, she willingly accepted the task at hand and completed her ground work course. But still at this point Ensign felt his filly wasn’t ready and respectfully bowed out telling the judges and crowd he would not be riding her in this final session. 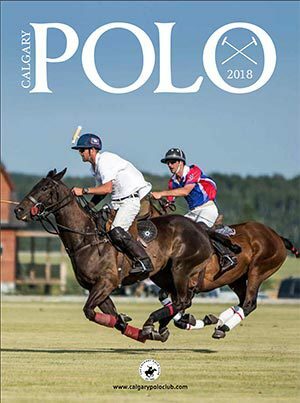 A decision that didn’t hinder Ensign final score as much as most may think, as on the judges show down score card states, was the best decision made in consideration of the future and welfare of the horse to ride or not to ride, this being worth as much as 15 points. Concluding the challenge was last year’s champion Quam, with his filly, confident in his leadership. When it was all said and done, Ralston saddled up and rode away with the judges leading score of 1438.5 points, in his first ever trainers challenge competition, followed by Quam with 1414 and then Ensign with 1257 points.